These days, we refuse to drink water if it is not filtered or distilled because of the fear of having diarrhea and other water-borne diseases. We are even more particular about the brand of bottled water that we give to our kids. While our children are safe from any sickness, the bottled water that we consume every day has a diverse effect on the environment. As regulated public water supplies and sewage systems begin to age and degrade, so does the public’s opinion regarding the safety of tap water. In recent history, reports accumulated, asserting that components found in public water supply may, in fact, be harmful, if ingested. This lead to the creation of the bottled water industry. Valued in the billions, the bottled water industry has high hopes of replacing tap water as the primary source of drinking water. But for those of us seeking clean & clear water that is environmentally responsible, we must question if bottled water is the answer. If you take a closer look, you’ll find that bottled water is not environmentally responsible, nor is it a safer option for drinking. 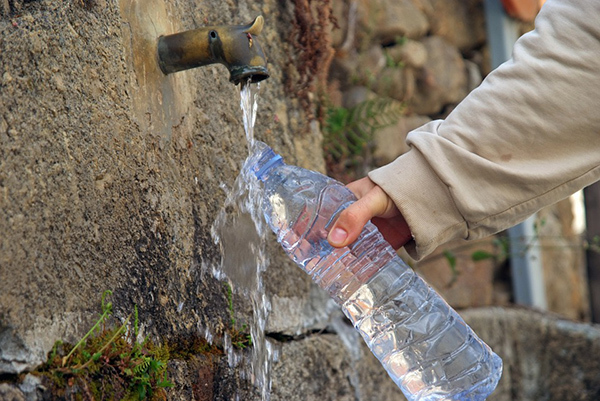 For more information on the safety of bottled water, click here. While awareness is increasing, leading to higher rates of recycling, less than half of all plastic water bottles used are recycled. Get the facts, by clicking here. This is overwhelming our landfill capacities and could be for quite some time as some plastics can take up to 1,000 years to degrade. Not to mention, that while the bottles are recyclable, the caps are not. From a “water footprint” standard, meaning the aggregate amount of water it takes to produce bottled water, an average of 3 liters of water are required to supply just one liter of bottled water. You don’t have to have a Ph.D. in math to know the numbers just don’t add up. As increasing numbers of marine life and aviary species are found washed up along our shorelines, we are beginning to get a more complete picture of just how damaging these little plastic bottles and bottle caps really are. Upon dissection, many of these animals, from birds to whales are found to have staggering amounts of plastic in their digestive systems. One albatross alone had a record 119 bottle caps embedded within its digestive system. 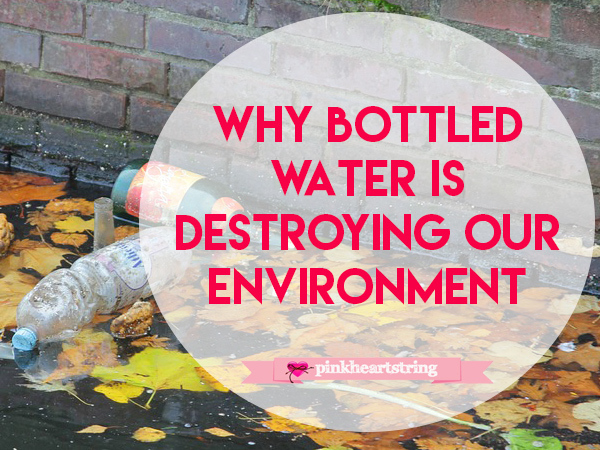 Aside from the BPAs and contaminants found in the bottles of water, we must also consider the environmental impact the production of these plastics make. Environmental impacts report that PET plastics (plastics used for making bottled water) emits 100 times the amount of toxins used to make a glass capable of holding the same liquid volume. Get the facts here. In fact, the production of plastic accounts for 14% of toxic emissions into our air and water. The good news is, the business sector is making great strides to find solutions for our bottled water crisis. From reusable travel mugs and canteens to the latest in water filter technology, anyone looking to do their part to protect the environment has a lot of cost effective resources to do so.